Makeup is something we wear almost every day of our lives, and the ingredients makeup companies boast can significantly impact the health of our skin. So, why don’t we prescribe makeup in the same way we do with skincare? Women visit salons in order to improve the health and beauty of their skin, and feel good while doing it. The feeling of leaving the salon after a facial or luxury treatment is next to nothing. So, why do so many women then layer on makeup that contains harmful chemicals, preservatives and fillers, and that can clog pores, essentially undoing all the beautiful work your therapist has put in? Imagine makeup so pure that it won’t irritate or re-inflame your skin concerns, even after something as traumatic as a cosmetic operation. Powerful healing and moisturising properties in makeup and clinical cosmetics brands are reigning supreme in the current skin-obsessed climate. In fact, a recent study* found that double-duty functionality is a strong winner in the makeup industry, with built-in skincare benefits like sun protection and quick healing significantly rising in popularity. There is no question that consumers are now looking for makeup that does more than make you look good. Welcome to the world of Youngblood Mineral Cosmetics. Long before mainstream brands had cottoned onto the powers of minerals for the skin, founder Pauline Youngblood knew the industry needed a range that let the skin breathe and heal, like skincare. 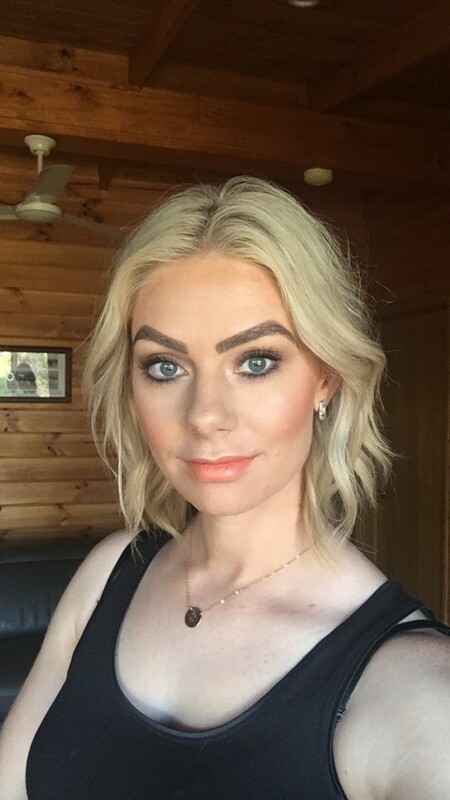 Determined to develop a makeup line that would not only reduce the appearance of marks, but also act as a skin treatment, even for her own acne prone skin, she began working with chemists, dermatologists and cosmetic surgeons, binding superior formulations of micronised minerals to create her own concealing powder for use on patients with special cosmetic needs. With 95 percent of female millennials using makeup to enhance their features, and 85 percent using it to hide their flaws*, why not choose a makeup brand that doubles as skincare? Patients who have undergone microdermabrasion, IPL, chemical peels, or surgery have specific makeup needs, due to the tight, raw and often sensitive skin they’re temporarily left with. Youngblood’s hero Loose Mineral Foundation contains 100 percent vegan ingredients, carefully selected for their superior performance and soothing properties. Only the highest-grade, finely triple-milled minerals like mica and titanium dioxide are used to cover skin blemishes and heal, fight skin infection, reduce inflammation and soothe post-operative skin. Similar to skincare formulated specifically for acne sufferers, Youngblood leaves out those heavy clogging ingredients such as the filler talc, that can trigger reactions that exacerbate acneic breakouts. Youngblood is specially formulated to not just cover but also helps to minimise skin irritation and safely conceal redness common with reactive pores and inflamed skin. Free of synthetic fragrance, the natural mineral formula and ultra-fine micronised crystals adhere to the natural oils in your skin instead of sinking into pores, allowing your skin to breathe and function normally. 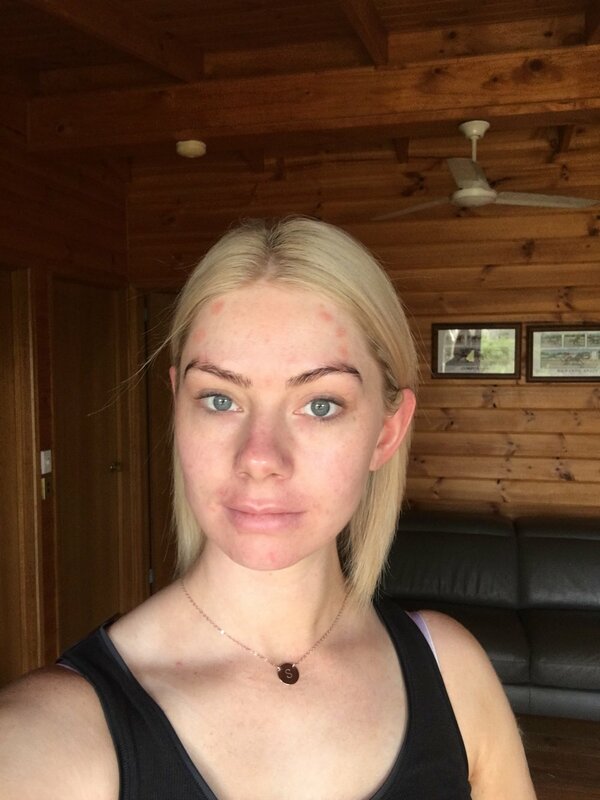 As traditional makeup often contains chemicals, oils, petroleum-based colourants and other additives that can irritate sensitive skin, Youngblood is the best choice for inflammation and rosacea, working to neutralise and conceal redness in only a few minutes. The warm tones in the earth-milled minerals tone down the look of redness on the skin and will not bleed through during the day. A key ingredient, titanium dioxide, offers protection against irritation and sensitivity due to its gentle and anti-inflammatory properties. Despite the lightweight and ultra-fine formula, Youngblood is capable of camouflaging scarring, heavy bruising, birth marks, pigmentation and even tattoos. 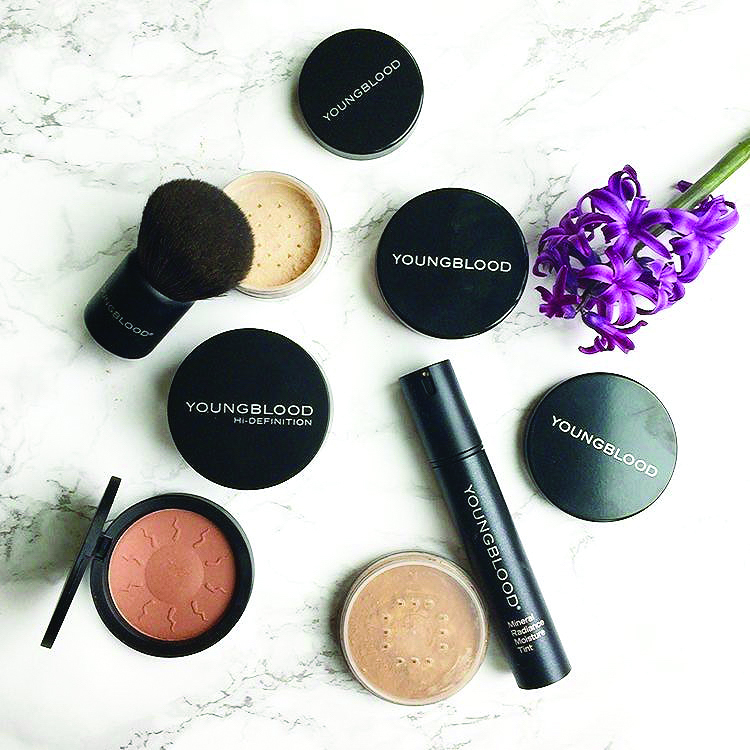 While many other makeup brands claim full coverage in their heavy and oil-based foundations, that can ‘completely cover imperfections’, Youngblood’s loose minerals and cream-based products are incredibly buildable without looking heavy, naturally enhancing the features you want to boost, as well as glossing over the blemishes you want to mask. The ingredient mica – an elite mineral known for its incredible skin adhering properties – also reflects light and helps to conceal discolourations in the skin, along with other skin-friendly, vegan ingredients that uniquely build up superior coverage. Youngblood Mineral Cosmetics offers professional mineral cosmetics for all ages, skin types and lifestyles – from teens with breakouts to women with demanding schedules who need all-day performance. Youngblood continues to lead in the industry due to the way its minerals are milled to the scope of shades and colours, and variety of crushed, pressed and liquid finishes that you won’t find in any other mineral makeup range. Newer PostJoin us on Facebook LIVE! PLUS your chance to win an Opening Order!